The Gravity Flow Checklists Extension (currently in beta) allows administrators to publish a series of Gravity Forms each requiring a single submission. This extension is perfect for organisations that require users to submit multiple forms as part of a wider process such as a school admissions, patient intake and employee onboarding. When the checklists shortcode is added to a WordPress page users can see the checklists that are assigned to them.When all forms have been submitted the checklist shows a checkmark. 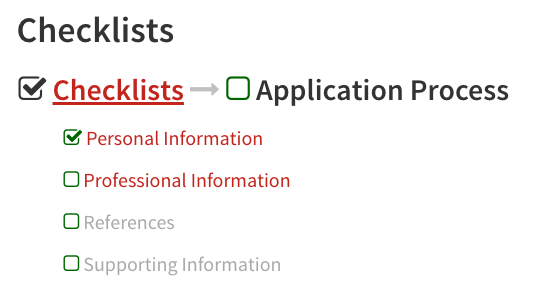 Incomplete checklists show an empty checkbox indicating that more forms are required to be submitted. Completed forms link to the workflow entry. Pending forms link to the form ready to be submitted. Forms are greyed out if the checklist must be completed in order. 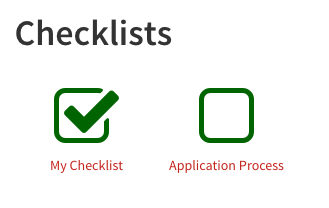 View the documentation for the Checklists Extension. Purchase the Checklists Extension Beta. Customers with an Ultimate license will find their license key and download link in their account page, purchases section.